On March 24, during the Lviv Fashion Week, the city’s denizens will get a chance to view the artworks by the legendary Bob Basset studio, one of the world’s leading creators of steampunk and pioneers of Techno-Romanticism. This will be the studio’s first ever show in Lviv. The main Bob Basset event will be a joint show with the Italian brand Balossa. It will take place at 8 p.m. on March 24 on the Lviv Fashion Week main catwalk at the Danylo Halytskyi International Airport. At the end of the show the organizers even promise a glimpse of the legendary Dragon Backpack. 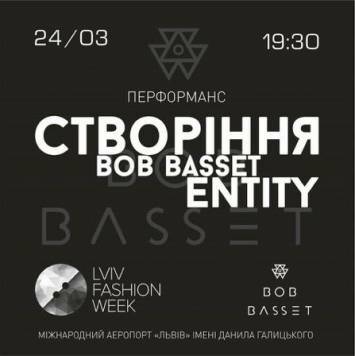 Before the show, at 7:30 p.m. LFW attendees are invited to visit the airport showroom zone for a performance of Bob Basset Entity. Bob Basset’s signature horses, dogs, and dragons will come alive in a ballet show by the Lviv National Academic Opera produced by Roksolana Segin. The contact ballet will be backed by the Tokar/Balog Duo, the famous Lviv musical performers and improvisers. The musical part is curated by Bohdan Segin. Bob Basset’s art stand will be permanently displayed throughout the Lviv Fashion Week. This art installation is centered around the image of the Pegasus, an important part of the studio’s esthetic and imagery.